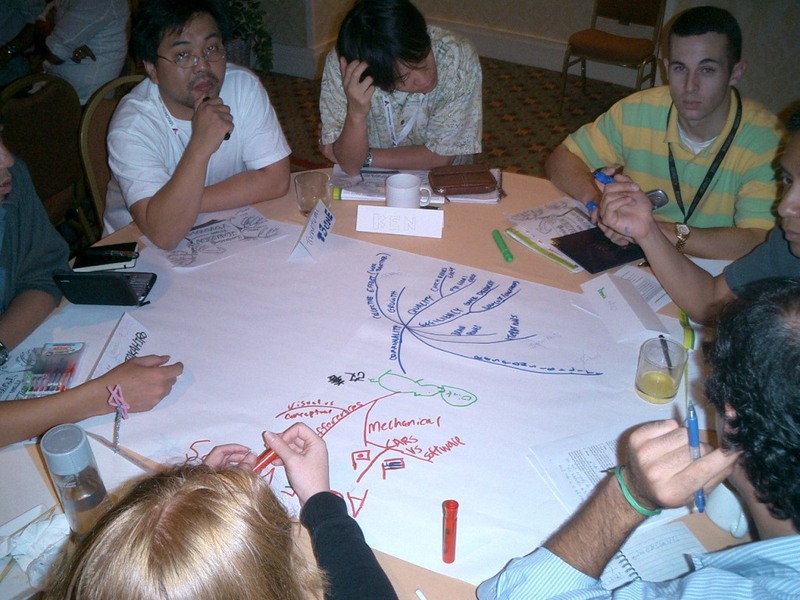 I led a session with Mary Poppendieck in Agile2007. 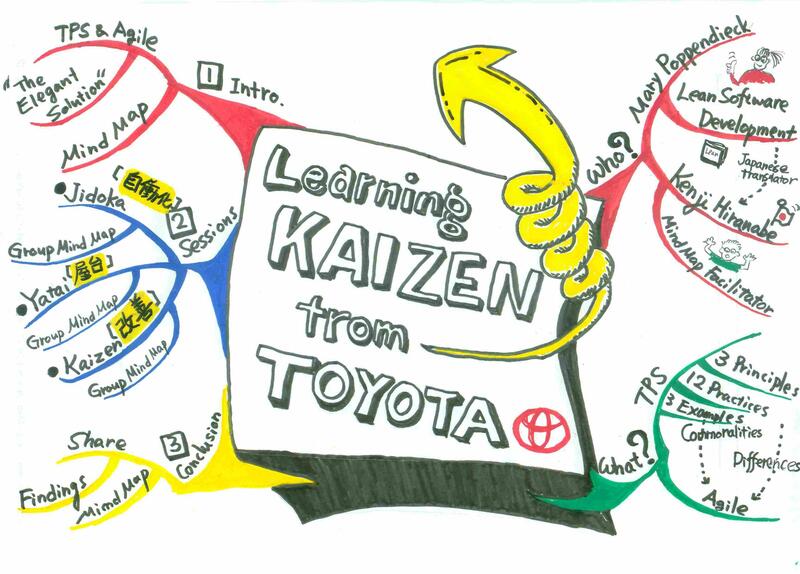 "Learning Kaizen from TOYOTA [with Mind Maps]"
To explore what Agile can learn from TPS. 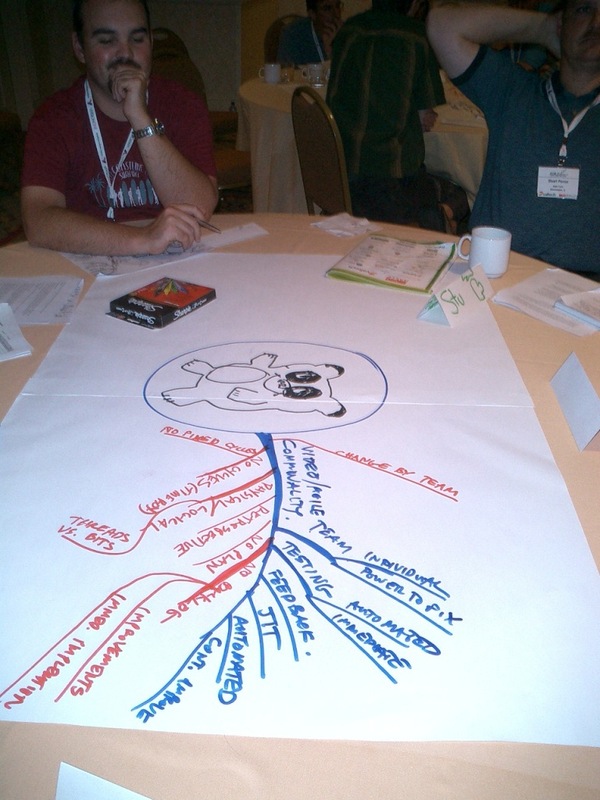 To learn how to use mind maps to simulate group innovation. The forth video of the six. 4-5: A predicatable change is not a change. 4-6: Convention over Configuration, or Rails application as a big configuration file. I really like the title! I've been thinking that software development and software itself should be sustainable and constructed not like a "building" but like Sagrada Família. 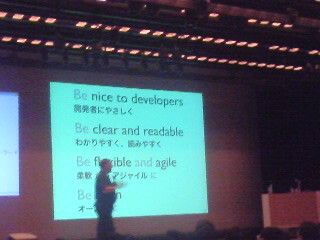 Kent Beck also said that software development is more like "gardening". Kevin introduces four principles in a juggling metaphore. 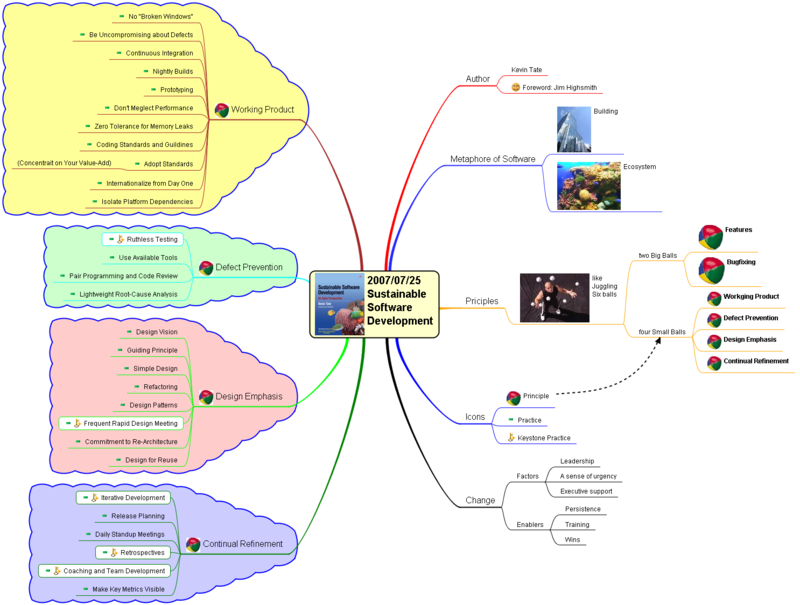 Striving for sustainable software development is like juggling the four balls of sustainable development [principles] at the same time as the much larger balls that represent features and bugfixing. 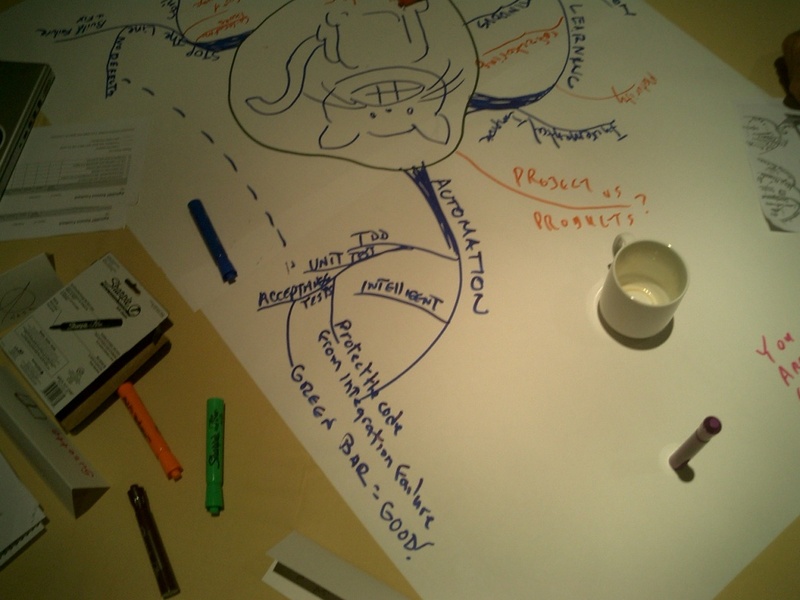 All of them have been stated in the context of Agile, but the viewpoint of "sustainability" is worth reading. 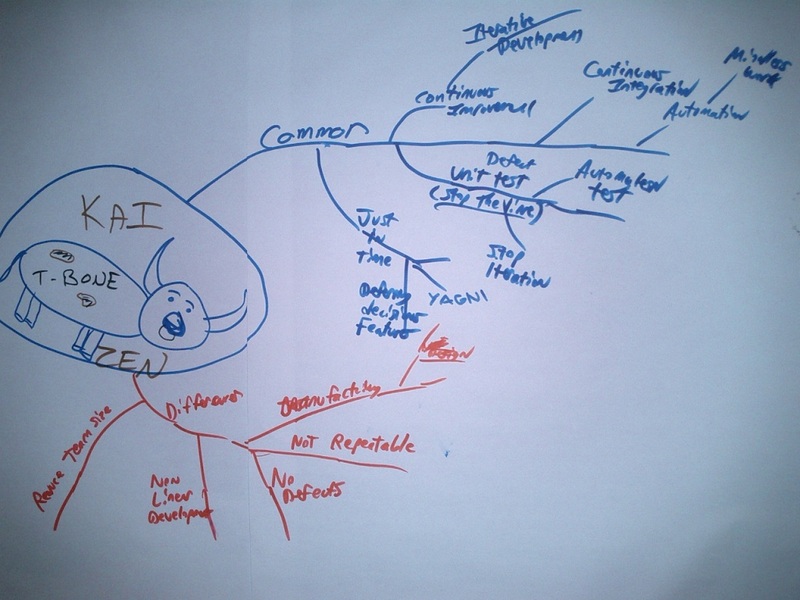 Here's a mind map of my book review. Click to magnify or here's one in PDF format. Jim Highsmith gave a good foreword. This time, we talk about Rubyishness. 3-1: What makes Ruby Rubyish ? 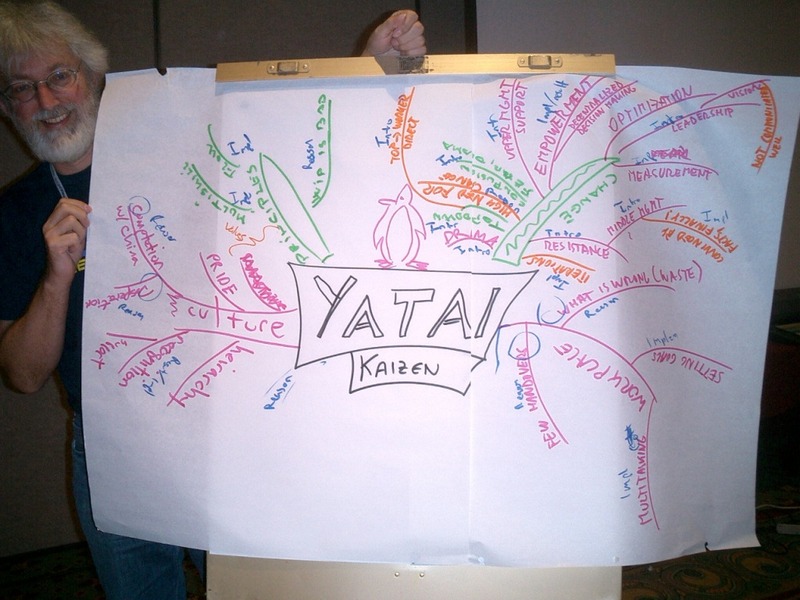 The second video of our "Ruby x Agile" discussion series, by Matz, Kakutani-san, and, me. 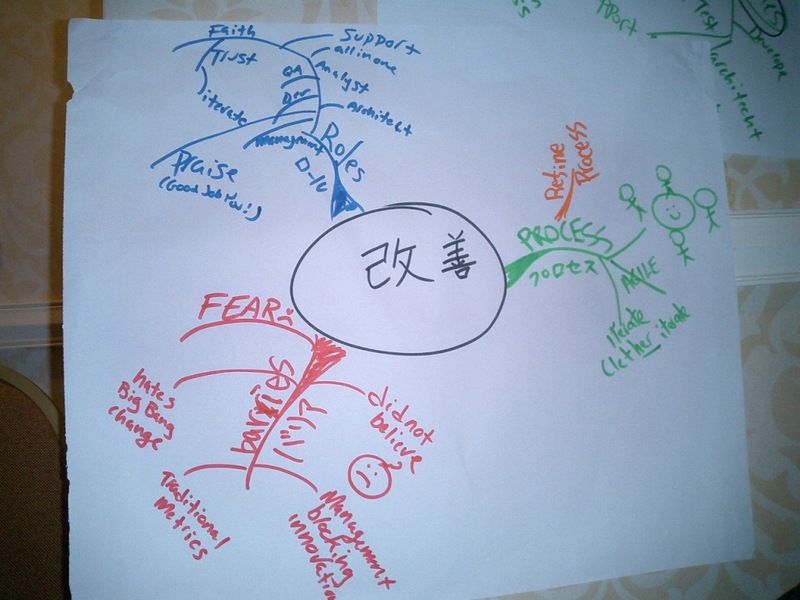 Part II: Resonance of Business-Process-Framework-Language, why ? 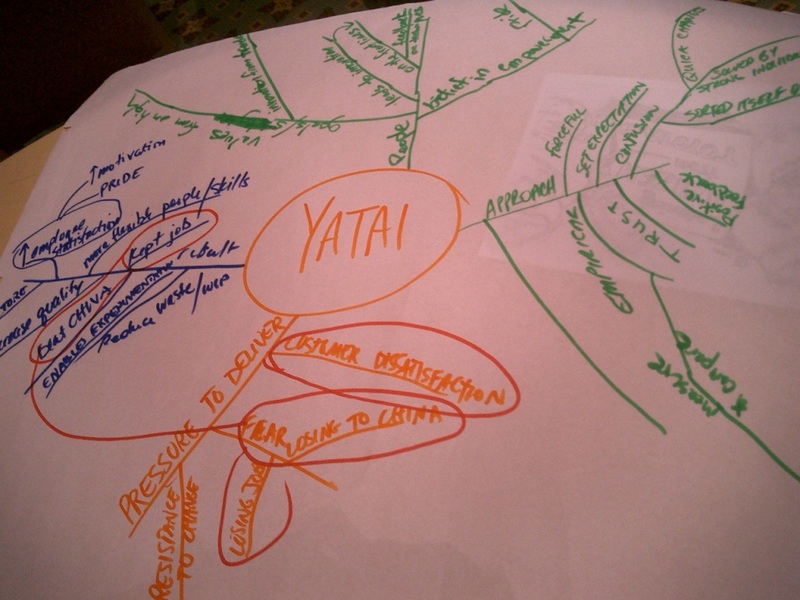 Matz says "Shift from machine-performace to human-performance." And that's what I think Agile and Ruby meet. The original article is published from Atmark IT. In RubyKaigi2007 Day2, PragDave talked "I love Ruby." I'm not a Rubyist myself, but I have a lot of friends in the Ruby community in Japan. When I wrote my article "Scripting Java" in DDJ(Doctor Dobb's Journal Japan), I looked at Shugo Maeda's demi(Ruby bridge of Java) in 1998. 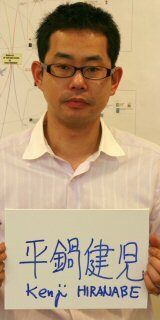 And since 2000, I have been seeing Suketa Masaki who wrote "256 times Ruby" and Masar Ishii who introduced XP, Patterns and Principles of Object-Oriented design to Japan(and passed away in the terrible traffic accident in Kobe). 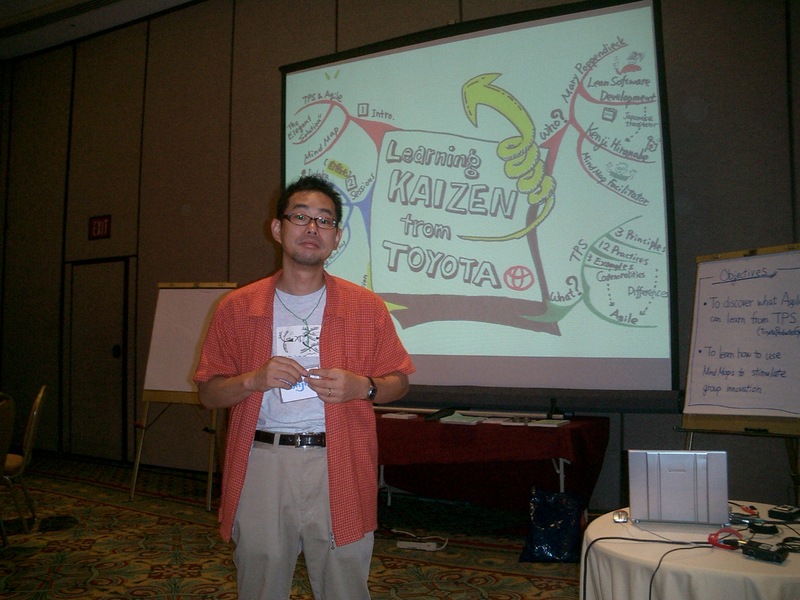 And I'm also the boss of Kakutani Shintaro who translated Bruce Tate's "From Java To Ruby." So I'm connected to the Japanese Ruby community socially. 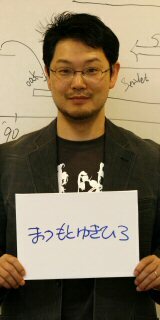 This time, I participated in the Kaigi as a lightening talker. 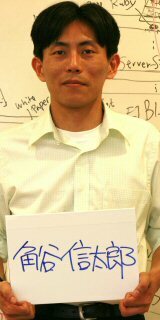 I had a very important expericence in RubyKaigi2007. Dave Thomas who played an important role in the Ruby AND Agile community in the U.S(Matz, shintaro and I talked about this), talked to us very nicely, honestly, and seriously in his keynote speech. Here's his story. It was pretty simple. I love Ruby. To love your tool is important. Ruby is like your children. He is a teenager and changing socially. Parents give advice (when asked). The most important thing is this community. In the last minutes of the talk, he showed a lot of pictures of people's faces, taken during the conference for that two days, happy faces, serious faces, tired(and taking a nap) faces of staff and participants. It was like a rush of scenes of kissing in "Cinema Paradiso." I came to thank you, and I feel at home. We gave him a standing ovation and he also raised his hands and applaused to us. Aactually, we "shared" the standing ovation. A more detailed log is here. I have a chance to talk with PragDave. 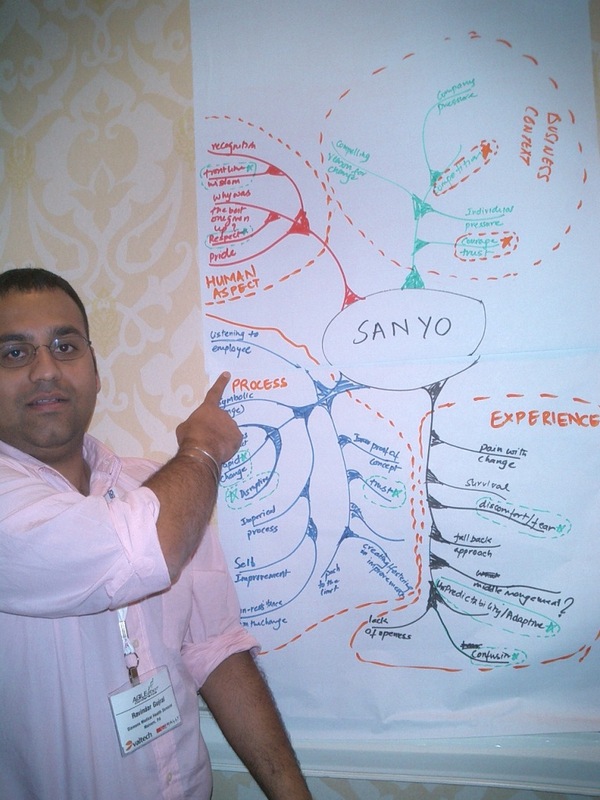 I showed him my new book("Mind mapping for better software development"), and asked for a chance to publish it from his Pragmatic Bookshelf series. 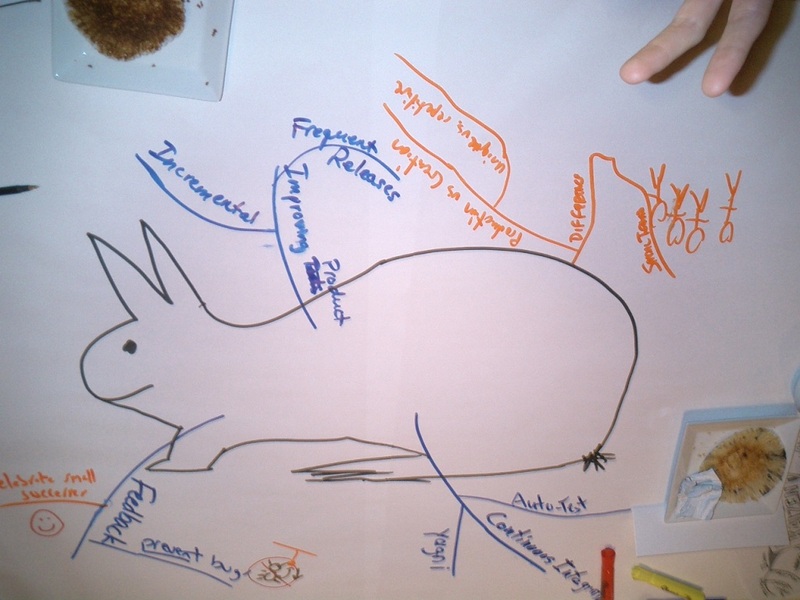 And I took part in the lightening talks! My talk is titled "Software development is made of ideas and communication." to show good match between Ruby and Agile. 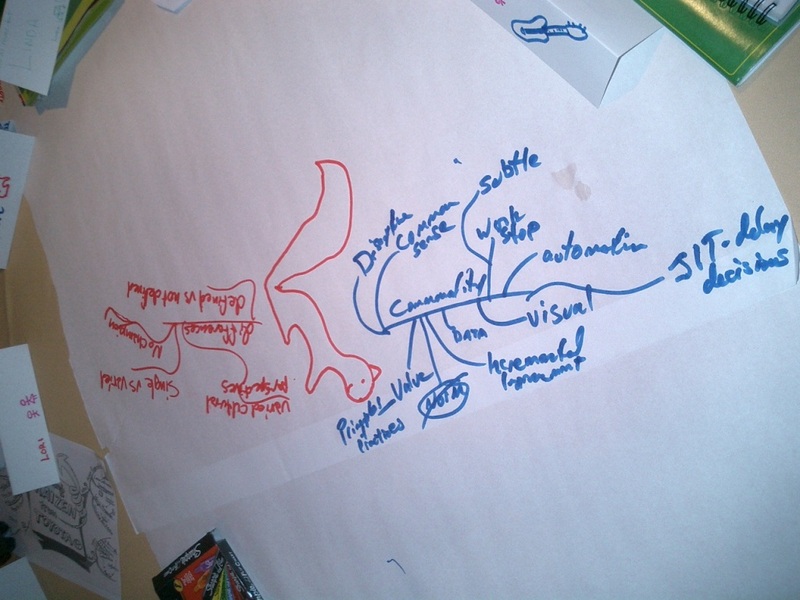 I tried a new style of presentation using camera, pens and paper. Matz(The designer of Ruby Language), Kakutani-san(Japanese translator of Bruce Tate's "From Java To Ruby") and I had a discussion titled "Ruby multiplied by Agile". 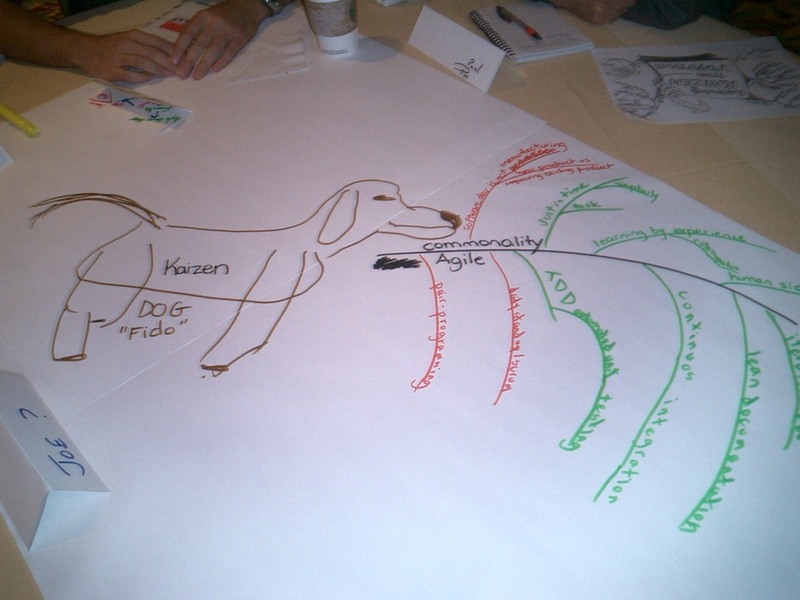 We wanted to explore the relationship between Ruby and Agile, and why. This series is divided into six movies and the first one has just released! Let's enjoy. Here's the original article in "AtmarkIT". 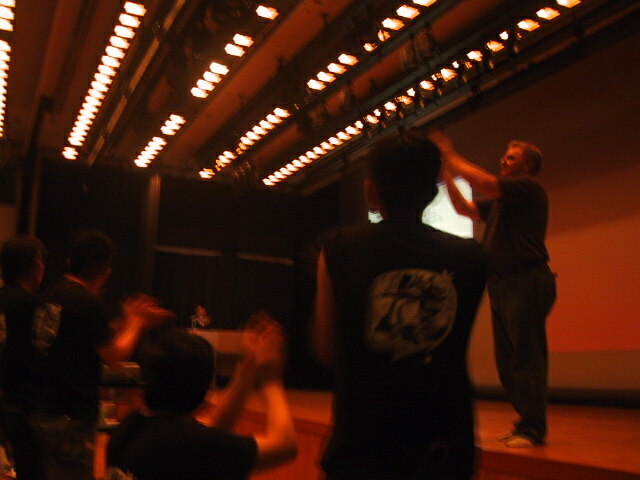 (By the way, Pragmatic Dave is visiting Japan in RubyKaigi2007 soon. 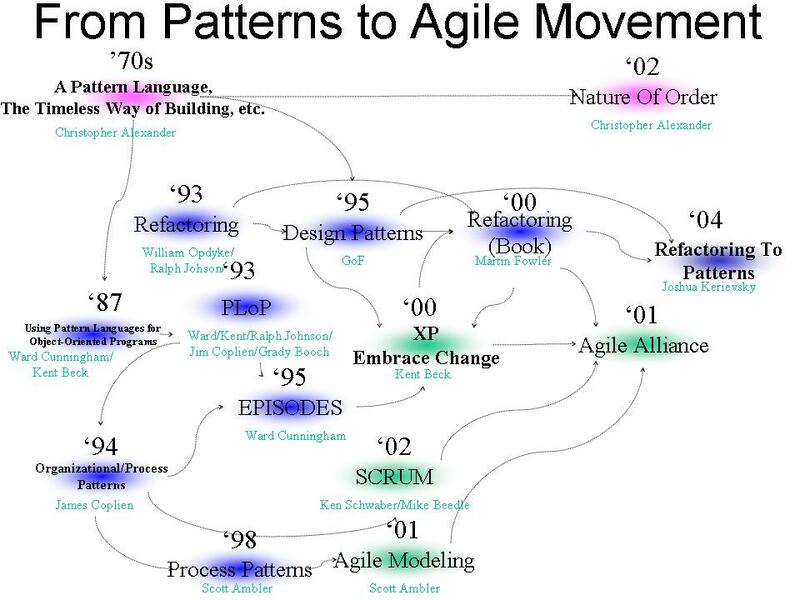 "Are there any links between XP(Extreme Programming) and Patterns?" "there are VERY strong social connections"
So I tried to make the connection visible. 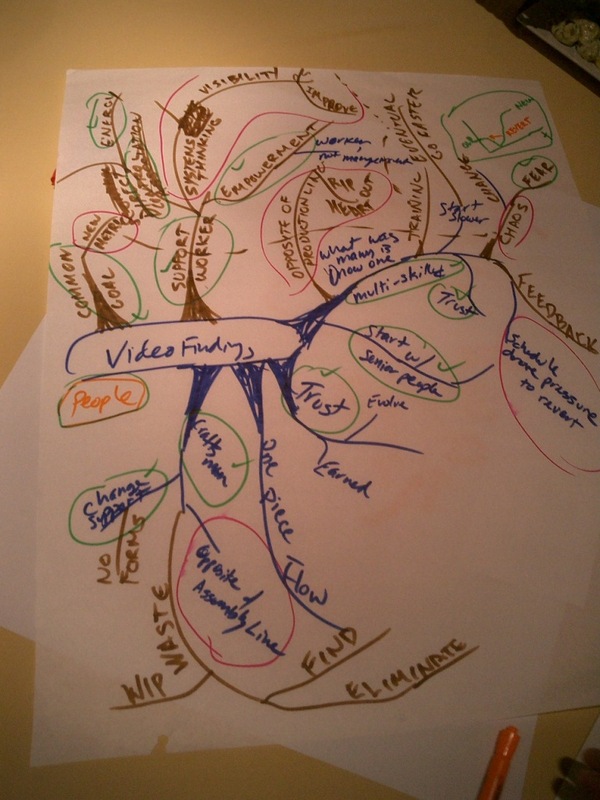 There are several referers to our site from an interesting research which studies use of Mind Maps in software development. 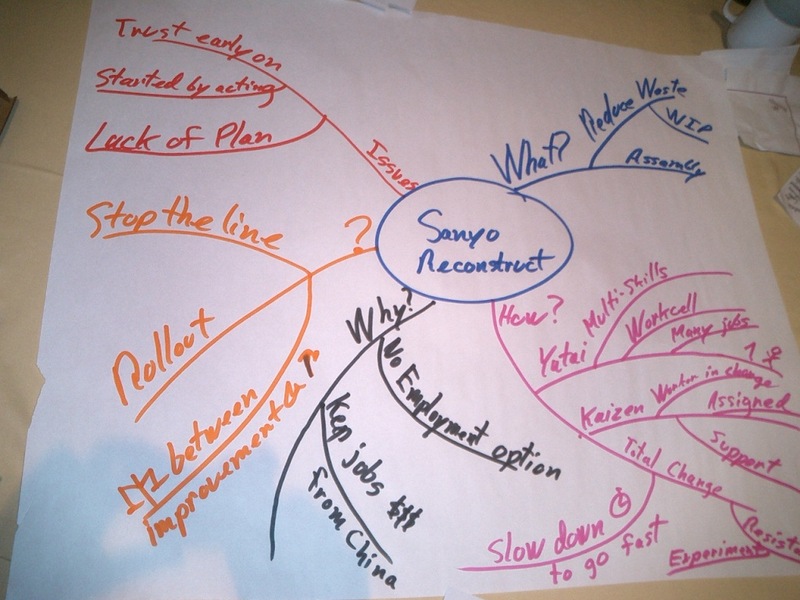 Now I'm preparing a book(Japanese, sorry) of Mind Mapping in software development. I'll be published in Feb, next year!